HERO ARTS-Clear Design Ultra Clean. 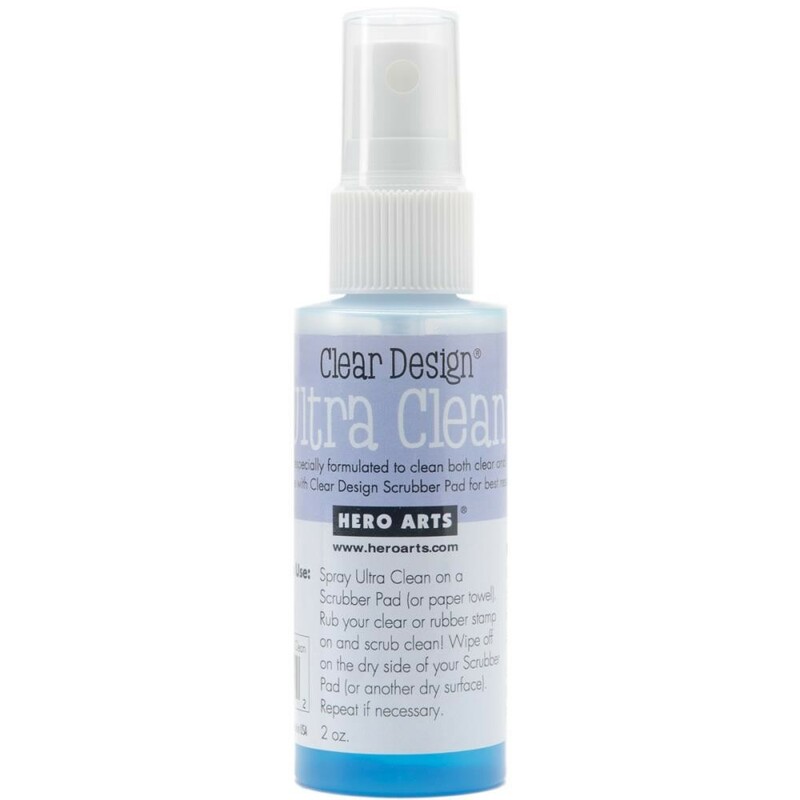 This spray is especially formulated to clean both clear and rubber stamps. This package contains one 2 ounce bottle of Ultra Clean Spray. Conforms to ASTM D4236 and EN71. Made in USA.